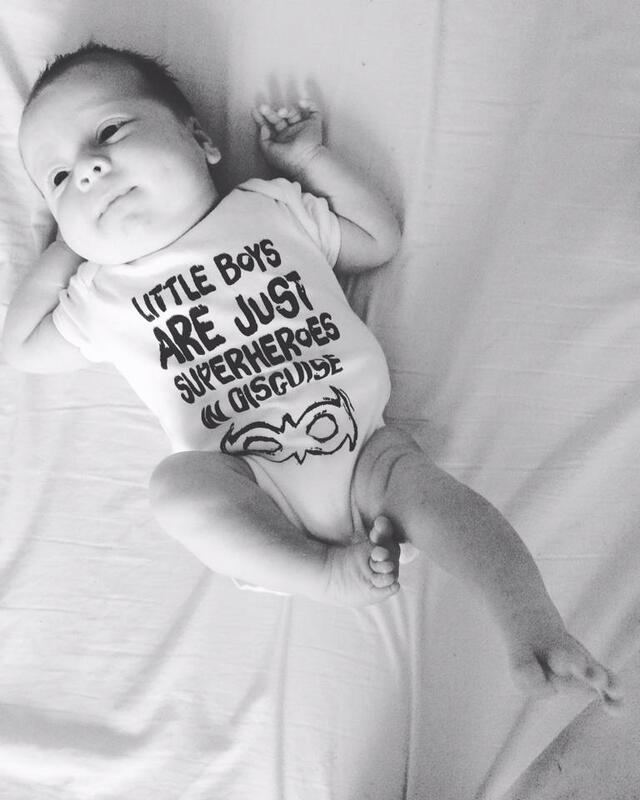 Although Freddie is 5 weeks old now I am still trying to get used to certain things on being a Mum of 3. I still find myself saying 'my girls' instead of 'my children' as I'm not just a mum to my girls anymore, I'm a mum to my little boy too. The past 5 weeks has been amazing but it hasn't been easy. I recently wrote a post on how I feel and if I am honest I am hoping these next couple of weeks go pretty quickly so we can get back into routine but I do plan to make some more memories with the girls before they start school. It is going to be a big change with Elliw starting full time school in September. I am used to Mia being in school full time now but I am feeling so nervous with Elliw starting full time school. It's just showing that she is growing up too quickly. It has just been me and her every single day since she was born and when she was part time school she was only away for 2-3 hours. I know I am going to have a tear in my eye watching her go through the doors and knowing I won't be picking her up until 3pm. The plus side of having both girls full time is being able to spend time with Freddie just me and him and also not having to do the school run so many times during the day. I will have more time to do things for myself or to do the housework, something I haven't been able to do properly since Freddie was born. Every single morning since Freddie was born the girls and I have been quite lazy in the mornings. 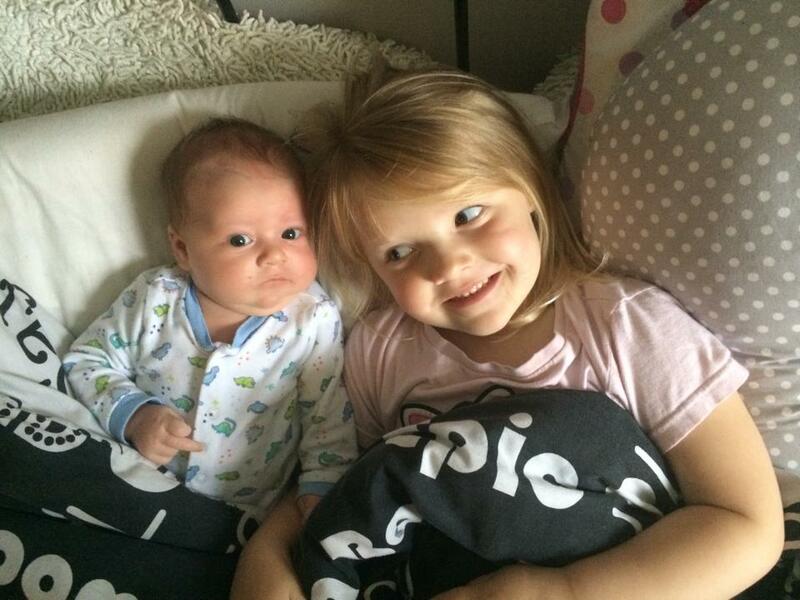 They will both come into my bed and give Freddie a kiss if he is awake or feeding. They are both so kind with him and although I do have to tell Elliw to be careful and tell them both to be quiet or stop waking him up when he is sleeping, they do both love him so much. They think the world of him. I feel so proud being a mum to my little boy and two girls. I will be sharing a post on how I have coped becoming a mum of 3. It's been a challenge but such a blessing. I wouldn't change a thing. So sweet lovely to see u are all adjusting well. I wish u loads of luck for all the fun changes u have coming up. It's great that your family is so excited to be around the new member! Your pictures are super cute. Five weeks old! Where is the time going? Congratulations - I was away much of the summer and missed the birth! These times will pass too and it'll get easier, promise (I've got three too!). You family is beautiful! The time is going so fast though. 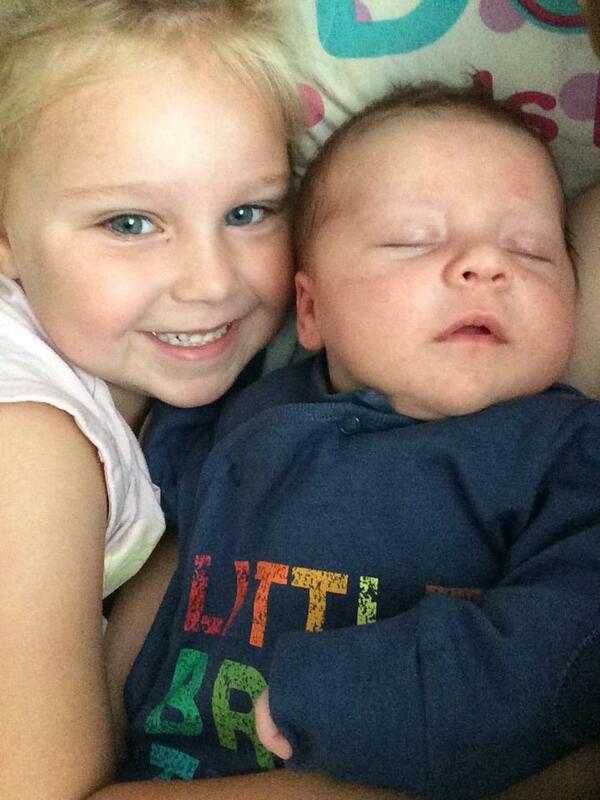 You have such gorgeous children Beth, it's so lovely to see your photos of them! Such beautiful children. Freddie is gorgeous! 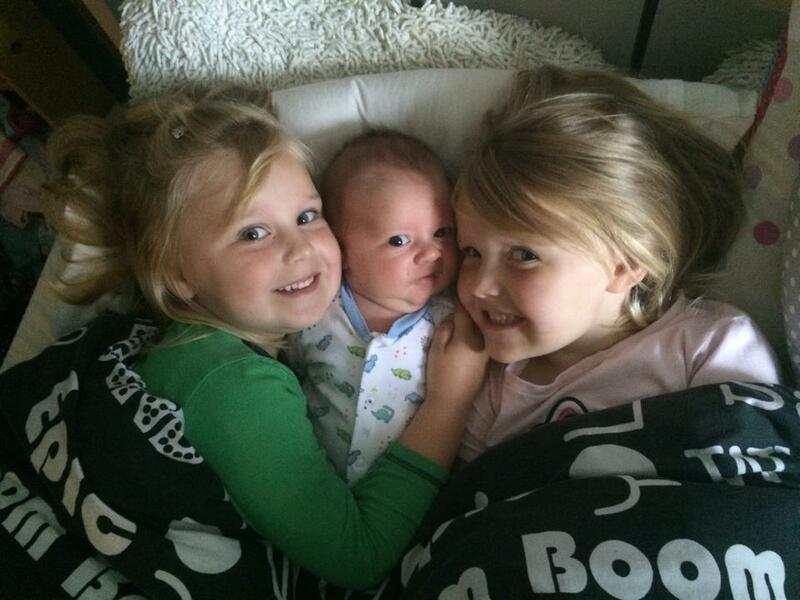 Ahhh how excited are the girls about their little brother. Mine were exactly the same, how cute. Awwh, these are such sweet photos. Glad things are going so well.